AZOTO is a project by Celso Valli, one of the most important exponents of Italo-disco. He pioneered the whole italo sound, with incredibly ahead of their time productions going right back back too ’70’s. 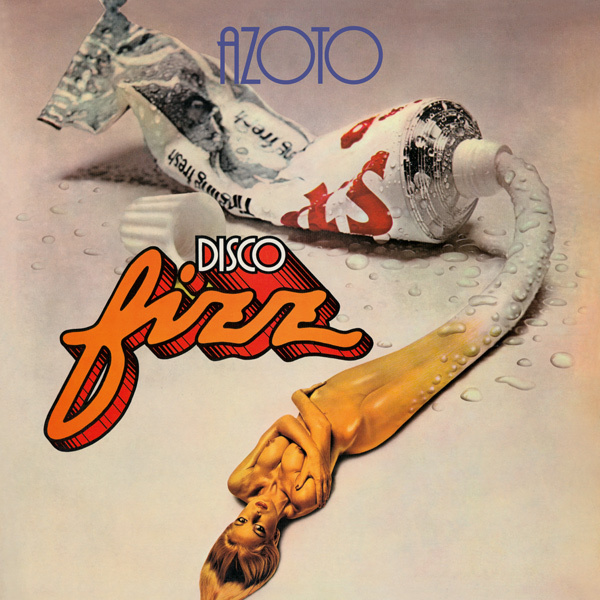 “DISCO FIZZ” contain ‘San Salvador’, one of the most covered disco tracks of all time, which has reared its head under countless of remixes and cover versions, however if you dig a little deeper this album is packed full of incredible and timeless italo disco: ‘Anytime Or Place’ literally jumps out the speakers to get you moving, while ‘Exalt-Exalt’ showcases their take on the darker side of electronic disco. “DISCO FIZZ” bridging traditional disco from america 's 70s with the spaceage syntheziser/vocoder powered Italian brand of Disco that was beginning to invade with new innovations at that time (1979). The record is officially reprinted on LP for the 1st time from original master tapes, and includes a sticker inside. A must-have for any DJs.